The value of qualifications, usually some indicator of an employee’s abilities, is now under threat from the increasing prevalence of degree fraud, according to qualification verification agencies. While both buying and selling of fraudulent qualification documents is a criminal offence, demand for and supply of these documents is on the rise. Given SA’s unemployment, and the correlation between qualifications and employment opportunities, this trend is not surprising. Many view a post-matric qualification, coupled with an identity document, as a passport to employment. A matric certificate doubles the odds of finding employment while a university degree increases the odds four times. While many may seem comfortable padding their resumes to boost their chances of getting a job, laying claim to an unearned qualification is fraud. Danie Strydom, MD of the qualification-vetting group Qualification Verification Services, says forged degrees and diplomas are a rapidly growing problem as criminal syndicates branch out from identity document and passport fraud to meet demand. Last month a Chinese couple was found in possession of more than 1000 stamped and signed University of SA (Unisa) certificates. Two men were also arrested for selling fake matric certificates at a shop in Johannesburg for R2000 each. Strydom says the only way to stem qualifications fraud is to prosecute each and every instance. All employers would have to check the validity of degrees claimed by prospective staff. Unisa spokeswoman Doreen Gough last week said 32 cases had been opened at police stations regarding forged documents – mostly submitted by prospective students. Prior to the end-of-year registration rush, 140 cases had already been opened. Unisa says it has seen a marked increase in forged documents from students in recent years. The university is now forced to verify “practically every document received,” she said. Education quality assurance body Umalusi says, although the body cannot give accurate figures, a major verification agency it used indicated that about 15% of certificates verified were found to be fraudulent. Despite the high incidence of qualifications fraud, world standards for verification meant the system was largely “foolproof,” Strydom says. Matric certificates are watermarked and feature unique registration numbers, and while it is possible to produce a highly convincing fake, it is almost impossible to beat the system, he says. Umalusi CEO Mafu Rakometsi has said that none of the quality assurance body’s certificates has been compromised. Department of Basic Education director-general Bobby Soobrayan has echoed the same sentiment, saying that while the department was concerned at the threat of forged matric certificates, it was convinced that the necessary security measures were in place to protect the integrity of matric qualifications. Matric certificates are treated in the same manner as other government documents with the same checks and balances, he says. Stringent verification procedures for higher qualifications, such as university degrees and diplomas, explain why fraud at this level is far lower – just a tenth of the number fraudulently claiming matric qualifications. Tertiary qualifications are also more likely to be checked. Small and medium businesses are less likely to verify employees’ qualifications. With large businesses this is usually standard practice, Strydom says. South African Qualifications Authority deputy executive officer Joe Samuels says in the last two years, 1,3% of the 20 130 domestic qualifications verified have been identified as fraudulent. Of this, about 46% of certificate holders had simply claimed qualifications they did not possess, while 26% had falsely claimed qualifications they had not completed, he says. In verifying foreign qualifications – potentially from degree- mill universities – the figure of foreign forged documents was less than 1%, he says. University of Cape Town registrar Hugh Amoore says the institution is unconcerned by people claiming degrees from the university. He says this rarely occurs. 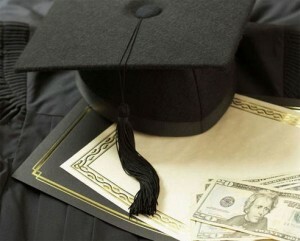 In cases where degree fraud has been identified, the university has pursued charges in all cases. This has happened no more than three times in the past 20 years. Almost all who claim a qualification from the institution possess it, he says.